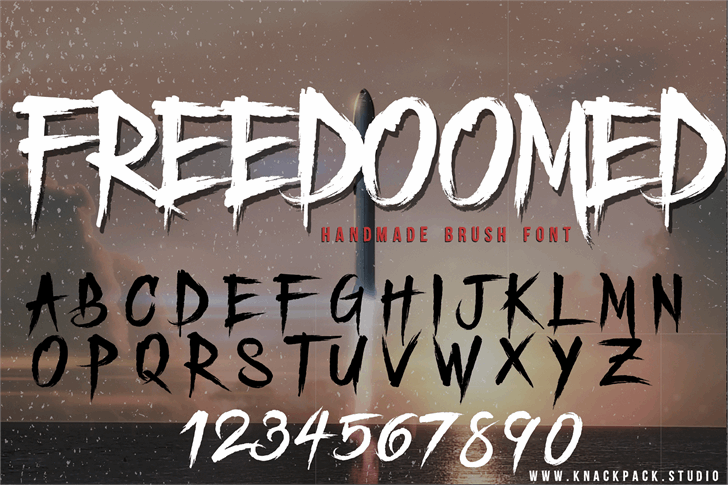 Specially handcreated brush font. Perfect for all of your needs and products. Demo version.. Please visit http://www.knackpack.studio for the Full / License Version..
Freedoomed Demo is a trademark of Knackpack Studio.